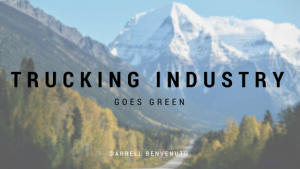 Darrell Benvenuto talks about the recent integration of millenials into the trucking industry, and the benefits of entering the industry at a young age. Recent polls show that millennial’s biggest fear is another economic downturn. Perhaps the spirit that dwelt in the likes of Hemingway and Fitzgerald’s lost generation of early 20th century America is resurfacing via the result of a slower, more monetary anxiety. The price of college is continuing to climb at a seemingly never-ending rate, outstanding college debt has surpassed credit card debt, and the Federal Reserve reported that Americans now have about $1.4 trillion in collective college debt. Many millennials coming out of college are starting at an extreme deficit. Even majors that typically offer a high paying job can create a struggle for young people, as the accompanying debt for a potentially lucrative field can hover around the $100,000 mark. So, what does the trucking industry have to do with the startling amount of student debt in the country? Kevin Tomlinson, Director of Maintenance at South Shore Transportation Co, said, “Kids can go to college, come out $150,000 in debt, and go work at McDonald’s. Or don’t go to college, come drive or turn wrenches for us, and start out making $55,000 with no debt.” And while a fast-food chain may not be the place of employment awaiting most engineering students after their graduation day, Tomlinson’s assessment of the problem is correct. The trucking industry provides valuable, lifelong skills and a chance to get ahead financially. For many after college, one’s salary is paying off a deficit, not accumulating in a savings account. 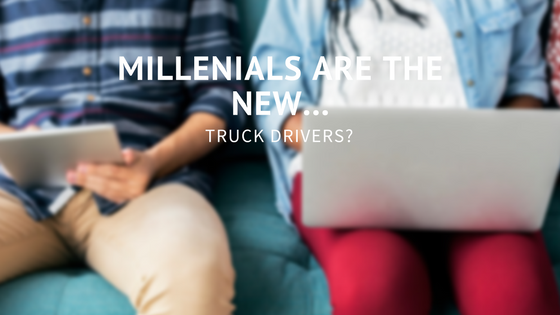 With the trucking economy and industry on a steady rise, it’s no surprise that many millennials are opting for a career that will allow them to build a financial foundation at a young age. 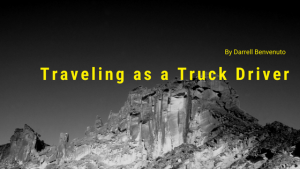 And while its possible that trucking salaries have been less than stellar for seasoned veterans in years past, this is something the industry is actively changing. Though the trucking has a promising future, retaining truck drivers is getting more difficult by the year. But the truth is, the trucking industry is a great place to capitalize on the disenfranchised youth and young adults of the 21st century. 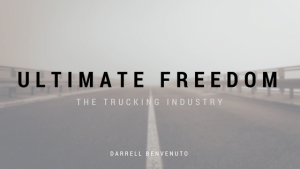 If the trucking industry presents itself as one that pays well, with the added benefit of no debt accumulation for its drivers, then the chances of it persevering and prospering are undoubtedly possible. Previous PostElectronic Logging Devices: Good for Trucking or Bogging it Down?